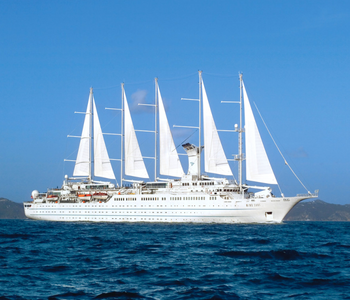 The world’s largest sailing yacht, Wind Surf sails with just 310 pampered guests. 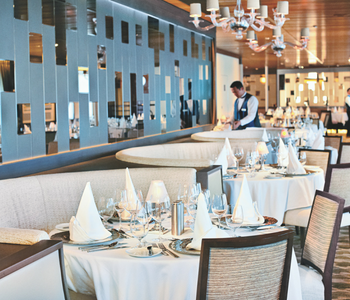 Windstar offers an open seating program allowing guests to dine when and with whom they like. Light and vegetarian cuisine available on request. AmphorA: AmphorA Restaurant promotes a contemporary, international menu and fresh local dishes. The room features mirror panels with Murano glass, soft lighting, wall coverings, and art work. Candles: A romantic setting offers alfresco dining with fine steaks and grilled skewers on the menu, where guests can dine under the stars. Stella Bistro: A treat to your palate. A french inspired café cuisine to find delightfully indulgent desserts and a wonderful array of wines. Veranda: An inviting breakfast and lunch buffet with plentiful outdoor seating offers a variety of options including many local ingredients. Yacht Club Sandwich & Espresso Bar: A relaxed option that features made-to-order sandwiches, vegetarian options, and a full espresso bar. Public Areas: Lounge, Pool Bar, Whirlpool, Reception, Signature Shop, Fitness Center, and Library. 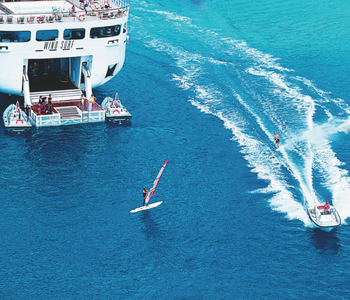 Watersports: Complimentary water-skiing, wakeboarding, paddle boarding, windsurfing, kayaking, sailing, skitubing, and snorkeling gear. 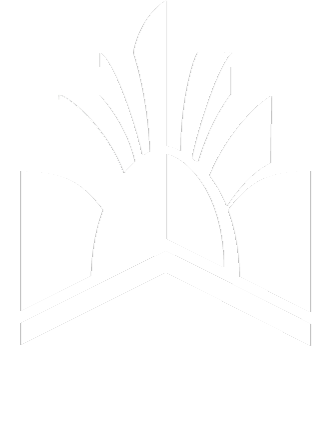 WindSpa: Full-service salon and spa. Offerings include massages, body treatments, facials, manicures, pedicures, aromatherapy, haircuts, blow-outs, and highlights. Windstar’s Open Bridge experience invites guests to come into the Bridge when the yacht is at sea. Guests can talk with the Captain and officers on watch, view the navigational charts, and enjoy one of the best views on the yacht.